Carolina Beach, premier of Wilmington’s southern mainland beaches, will officially open its 1927 season, June 11 with a burst of glory and gaiety that has never been equaled in the annals of the growing resort. Improvements have been made and others are still in progress which will undoubtedly add considerably to the beauty and attractiveness of the resort, whose popularity is growing with each season. The beach has grown rapidly during the last few years and today it is the mecca for thousands annually. 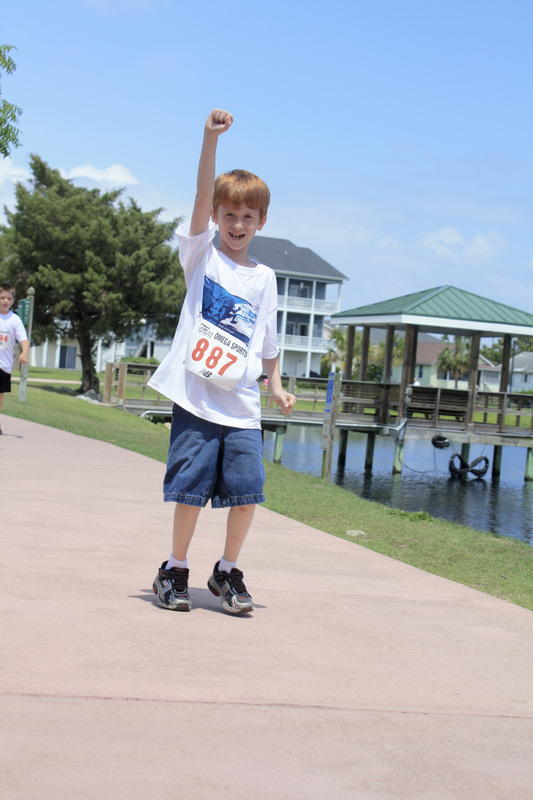 Officials of the Carolina Beach Corporation are spending money lavishly in beautifying the fresh water lake that is within a stone’s throw of the mighty Atlantic and also to construct an adequate and modern roadway around the lake. A dredge is now at work in the lake and it is making rapid progress. 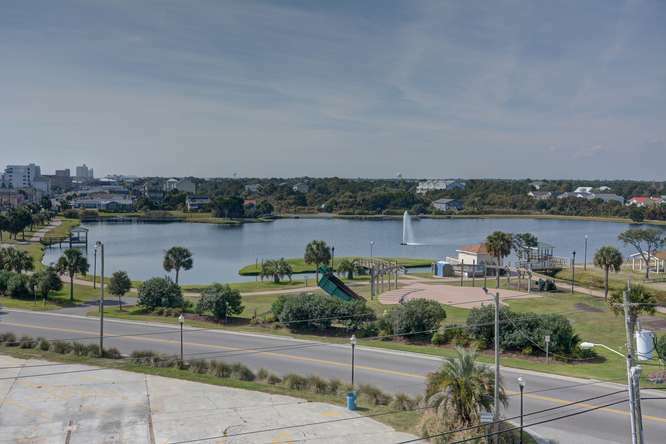 Beautification of the lake includes the construction of small crescent-shaped islands, dredging of a canal which will make possible boating and the formation of a sand beach which will enable fresh water bathing The bathing beach is being formed in front of the Carolina Beach Hotel. The lake’s beach will undoubtedly appeal to hundreds who love the ocean, but who are afraid to “break” into tempting waves. It will be convenient to hotel guests and will also provide a place where small children can enjoy bathing. Various depth will be formed, making possible simple bathing and also swimming and diving. The last feature cannot be obtained in the ocean, therefore, those gifted with the ability to make beautiful dives will find the lake a place for many hours of real enjoyment. Other improvements are contemplated which will add considerably to the attractiveness of the beach. Officials expect to install a complete and new line of amusements which will have a distinct appeal to the children and younger set. Arrangements for these, however, have not been definitely completed. Formal announcement of these plans will be made later. Opening of the pavilion on June 11 will meet with favor of hundreds of this and other cities. Dancing always has been a real feature at the beach and it will hold sway again this year. Music will be furnished by the Carolina Aces, popular Wilmington orchestra. Considerable holdings of the Carolina Beach Corporation, including the Carolina Beach Hotel, were recently sold to John R. Baker, of Winston-Salem, who contemplates improvements that will blend nicely with those of the beach corporation. The hotel will open shortly after the pavilion is thrown open. Definite date will be announced later. The following newspaper clips where all obtained from the Bill Reaves files, where we discover more details and a shadowy story about the Carolina Beach Hotel. J.T. Webb, general manager of the Southern and Southwestern Hotels Company anticipated one of the most successful seasons at this beach. The management of the hotel was in the hands of W.A. Buckley, for many years connected with the William Foor organization, and now with the O. Henry Hotel in Greensboro. Mr. Webb‘s company operated a number of successful hotels in North Carolina, South Carolina, Georgia and Florida. 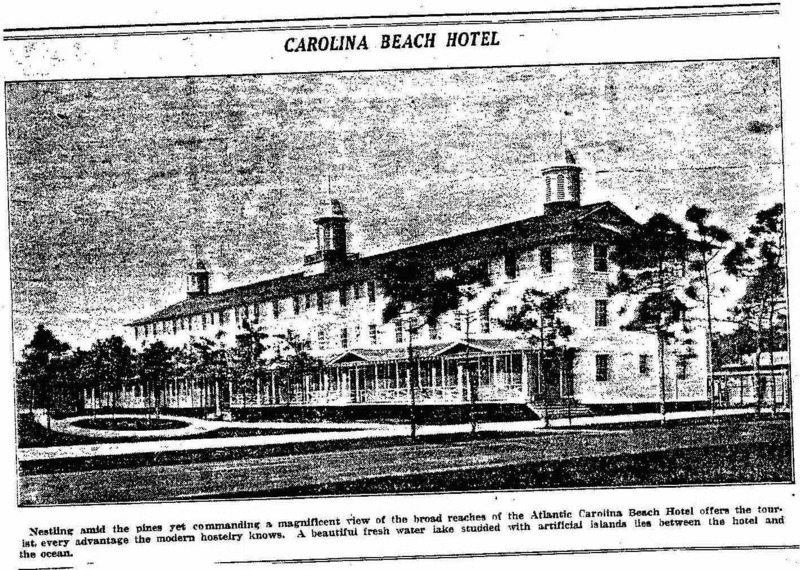 The Carolina Beach Hotel, popular resort center, was sold by John R. Baker, of Winston-Salem, N.C., to Sam Jackson, of Mecklenburg County, and then sold again to the Highway Park West, Inc., of Greensboro. The bill of sale was filed in the New Hanover County register of deeds office. The former owner, Mr. Baker, acquired the hotel from the Carolina Beach Corporation along with 700 choice lots. The hotel had previously been operated under lease. While the charred ruins of the Carolina Beach Hotel were still smoldering, attorneys for H.T. Ireland, of Greensboro, one of the owners of the hotel, were busy with an investigation, which they admitted might result in the indictment of one or more persons on charges of arson with a possibility of other warrants being drawn. Capt. W.A. Scott, deputy attached to the office of Stacy W. Wade, fire insurance commissioner, arrived in Wilmington and went immediately into conference with Mr. Ireland and his attorneys. H.T. Ireland and J.L. Byrd, prominent Greensboro real estate men, were arrested in Greensboro under capias issued after the New Hanover County grand jury had returned indictments for house burning against them in connection with the destruction by fire of the Carolina Beach Hotel on the morning of September 13. Each man gave bond of $5,000 for appearance at the January criminal term of the New Hanover County superior court. The indictments were returned following an exhaustive investigation by W.A. Scott, and inspector of the N.C. Insurance Department, who came to the hotel site after he was informed of the fire. He was accompanied by an inspector from the National Board of Fire Underwriters who assisted in assembling data and delving deep into the facts surrounding the hotel.